Great rum Perfect sweetness. Soft rum that goes down nicely. Great rum Nice rum with a soft finish. It is a great value for your money. Very good rum Nice rum with a fine aroma and finish. A bit pricey but it is worth it. Nice Panamanian rum Soft and nicely sweet rum. Good price and well worth a try. Nice coconut rum Nice and sweet rum A little strong at the beginning but it finishes nicely. Great aftertaste. Drink it cold. Very nice Nice rum with a good finish. Soft and good aroma. Good value. Good one Good value for your money. It goes down nicely alone or mixed with cola. Another nice sample Good value for your money. 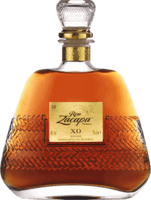 A little sweeter than other rums, but it goes down nicely alone or mixed with cola. Fair Nice Colombiam rum, but nothing extraordinary. Fruity and slightly sweet. It goes down nicely with a cola.